N120 12 Channel NanoVolume . NP80 NanoVolume + Cuvette . Please fill out the Free “Try NP Before You Buy NP Program” application form to help us better understand your individual needs and applications. 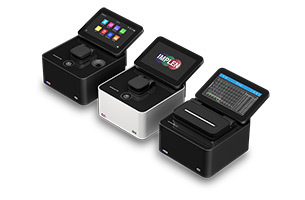 The Implen NanoPhotometer® has a variety of configurations and is capable of being a stand-alone instrument or may be controlled directly or remotely from smartphones, tablets and computers*. Please ensure that all reagents and supplies required to facilitate a productive trial will be on hand upon arrival of the NanoPhotometer®. Please note that the NanoPhotometer® Free “Try NP Before You Buy NP Program” is limited to non-radioactive samples only. Implen will cover the shipping costs and the free trial period will begin the day of confirmed shipment receipt and will end the day we receive confirmation that the instrument has been shipped back with the supplied shipping label. Implen’s “Try NP Before You Buy NP Program” is offered in select countries only. For further information please contact Implen or the local distributors of Implen’s NanoPhotometer® products directly.